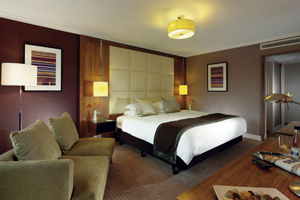 The Bromsgrove Hotel has rebranded as the Holiday Inn Birmingham - Bromsgrove. This follows the completion of a £3.5m investment programme by the owners and operators, Pedersen Hotels. Over the last 18 months, 110 new air conditioned rooms have been added as well as five new meeting rooms and a fitness suite. In addition, £1.2m has been spent on the reception and lobby, with a new bar and restaurant due to open in the New Year. Pedersen Hotels also operates the Crowne Plaza Reading and Crowne Plaza London Ealing under licence from Intercontinental Hotels Group.